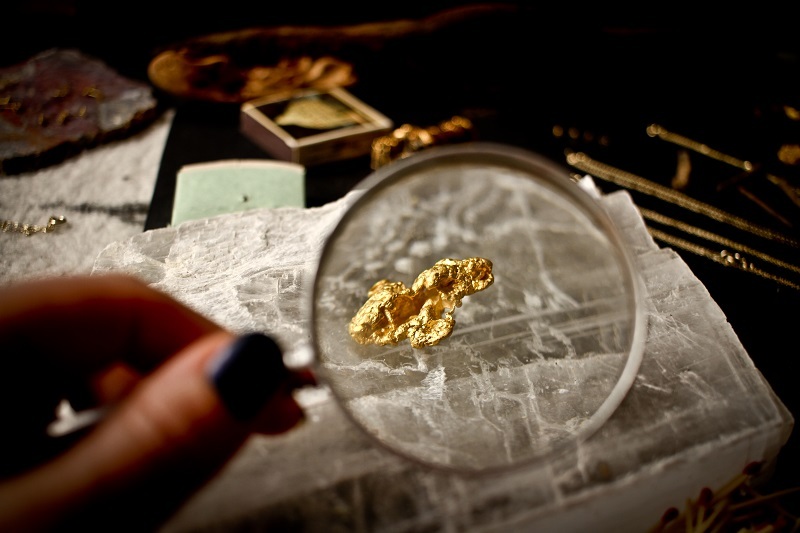 Gold discovered in Alabama has been mined from both placer and lode sources. The goldfields were primarily found in a gold belt covering an area of 60 miles wide and 100 miles long. The gold belt enters and trends the northeastern part of the state coming from the border with Georgia towards an area in central Alabama, known as the Piedmont Uplift. Most of the gold in the heart of the state has been produced at the Hog Mountain District and the eastern banks of the Hillabee Creek in Talapoosa County. Both locations, together with Cleburne County were credited to produce the bulk of Alabama’s gold. Chilton county sourced its gold from several streams and tributaries that flowed towards Coosa River in Clanton City and the small town of Verbena. The southwestern portion of the Alabama gold belt included parts of Chilton County. 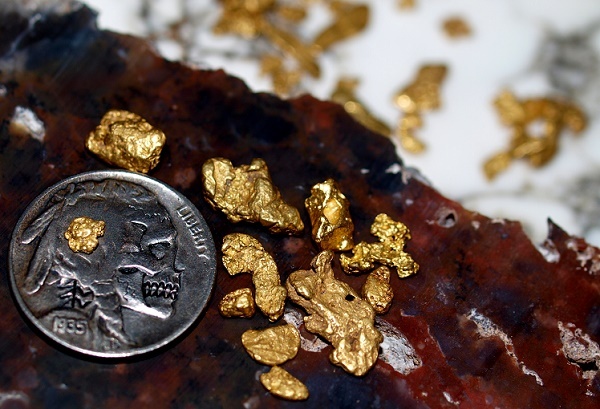 Gold nuggets were reported to have been recovered in Clanton, particularly from Blue Creek, a short tributary of the Coosa River in the southeastern part of Chilton County. In Clay County, placer gold occurred at the Wesobulga Creek, Crooked Creek, Tallapoosa River, and several unnamed streams throughout the county. Along the far west side of Randolph County and the far east side of Clay County lies the Cragford district. Several mines operating here produced free-milling gold from veins in quartz. Properties situated along the tributaries of Crooked Creek have both placer and lode gold deposits. In the western part of the county is the Idaho district. The Eley, Haraldson, Shinker, Alabama Gold and Mica Company, Prospect Tunnel and Harall Gold Mines all operated in this area, which contained lode gold. Placers can be found in Hillabee Creek and many of the smaller drainages in this area. In Cleburne County, the Anna Howe Mines are thought to have produced the first gold-bearing quartz in Alabama. It made the county one of the most prolific producers of gold in the state. Other gold bearing streams can be found around Arbacoochee and Chulafinnee. Parts of Hillabee Creek will also produce gold within Cleburne County. The mining district around Arbacoochee, roughly ten miles south of Heflin is composed of the rich placer gold-producing properties of Anna Howe, Marion White, Sutherland, Eckles, Pritchet, Crown Point and Middlebrook; the Golden Eagle (Prince) Mines; and many additional lode gold deposits as well. Coosa County has extensive placer gold prospect areas with a significant history of mining during the early gold rush days in Alabama. Rich placer gold occurred along Weogufka Creek and Hatchet Creek. In Talladega County, the Riddle Mine and the Woodward Tract in the southeastern part of the county, and the Story Mine south of the county on the eastern flank of the Talladega Creek, have all produced lode gold in quartz veins from decomposed rocks and slates, with placer gold found in area branches and benches along the Talladega Creek. The Talladega National Forest contained several creeks, where placer gold also occurs. Of course many of the richest mining areas are located on private ground, but the National Forest lands do provide opportunities for the public. Tallapoosa County composed four principal gold districts: Goldville, Hog Mountain, Eagle Creek and Devil’s Backbone. Miners worked out for placer gold deposits in the shoal sands and stream gravels in watercourses, like in the streams of Owl Hollow Valley, Long Branch Creek, Channahatchee Creek, Kowaliga Creek, Copper Creek and the headwaters of the Peru Creek. Several of these streams are now part and lie under the waters of Lake Martin, a reservoir formed through the construction of the Martin Dam on the Tallapoosa River. The area around the town of Dadeville had several mines such as the Holly Prospect, Gregory Hill Mine, Blue Hill and Bonner Terrell Properties, which produced lode gold from the surface debris of the area’s tributaries and in quartz seams from graphite schists. The town of Goldville is located northeast of Alexander City just south of the border with Clay County. The Goldville Mining District had a number of productive mines, pits, and prospects that produced free-milling gold from rich lode deposits in this area. Many placer mines were established in the area streams and branches of the Hillabee Creek. A few miles west of the Goldville District and 13 miles northeast of Alexander City is the Hog Mountain mining district. 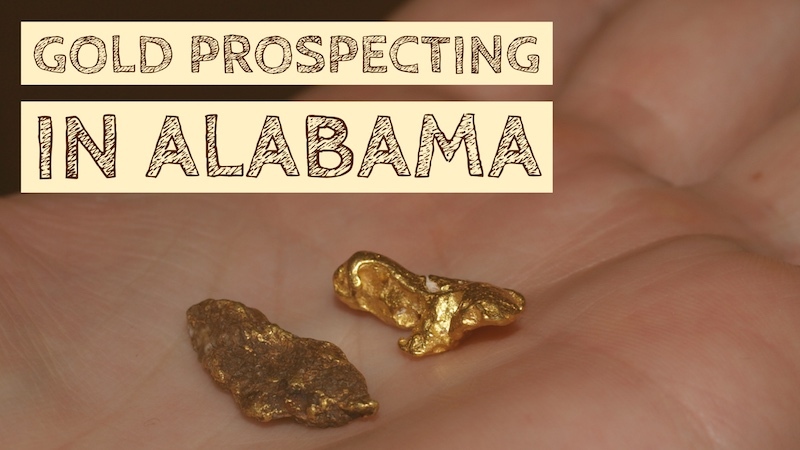 This is one of the richest gold-bearing areas in all of Alabama, and has been probably been explored more than anywhere else in the state. It rivaled the gold discoveries in Georgia during the peak of mining here. The area around Hog Mountain is known to be very rich with gold. Hog Mountain is situated near the junction of the Hillabee and Enantichopko Creeks, and is a ridge with an elevation of a little more than a thousand feet that is composed of granitoid intrusive rocks, which are more resistant to erosion than that of its surrounding softer schist and hills. Moore Creek drains the western flanks of Hog Mountain, while a tributary to Jones Creek drains the eastern flanks. The Eagle Creek gold mining area in the central part of the county was the site of numerous gold mining operations that began in the late 1830’s. Among them were the Tapley Mine, Griffin Prospect, Morgan Placer, and the Jennings, Greer, Johnson and Hammock Properties, where a stamp mill was operated on a creek flowing through the property. Placer gold existed along the area streams and tributaries of Eagle Creek.